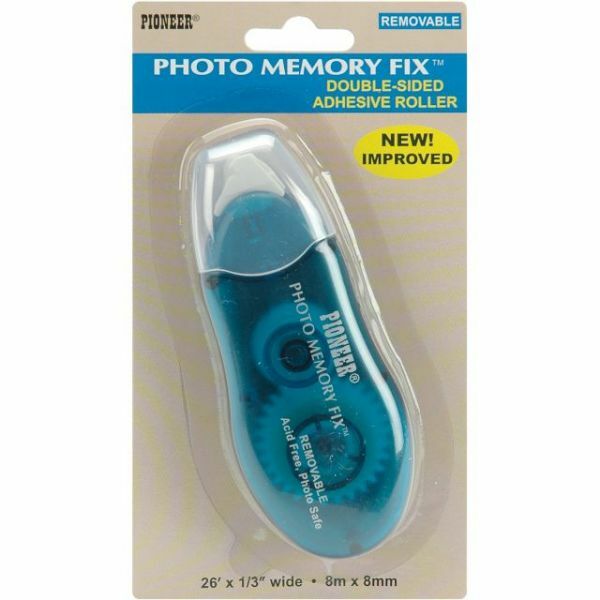 Pioneer Photo Memory Fix Adhesive Dispenser - PIONEER-Photo Memory Fix Removable Adhesive Roller. The small size roller is comfortable to hold and easy to control for an even, straight application. 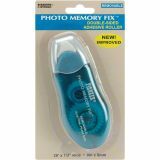 The permanent adhesive is double-sided for mounting photos and other items. This package contains one roller with twenty-six feet of double-sided permanent adhesive 1/3 inches wide. Acid-free. Imported.